Our bodies are built to expend a great deal of energy on a daily basis. In order to sustain performance at the highest levels you need to balance intense effort with recuperation. Sleep is another factor that is just as important in improving your performance, if not more, but always neglected when life gets busy. We have heard the term “You snooze, you lose” and Bon Jovi and Set It Off belting out “I’ll sleep when I’m dead”. Sleep seems to always take a back seat by default and it is quite apparent that the practice of sleep is greatly undervalued. It takes up almost a third of our lives which indicates how crucial it is. As pioneering U.S. sleep researcher, Dr William C.Dement put it “You are not healthy unless your sleep is healthy”. Sleep is an active physiological process, one in which our bodies are busy carrying out vital activities, while we are unconscious. There is a biological requirement for human beings to sleep well. If we don’t get the quality deep sleep that our bodies require, the accumulation over time has the potential to contribute to all sorts of health issues. The National Sleep Foundation’s sleep guidelines recommend seven to nine hours for the average adult. Tissue and Muscle Repair – While the brain is resting there is very little activity, so the blood supply available to your muscles increases, delivering extra amounts of oxygen and nutrients which facilitate their healing and growth. Muscles and tissues are rejuvenated and new cells are regenerated. Consolidation of Memory– Healthy sleep puts you in the right state of mind for learning and performance throughout your day. A good night’s sleep is vital to process and retain that information over the long term. 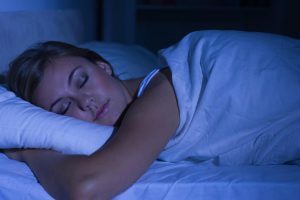 Sleep triggers changes in the brain that solidify memories—strengthening connections between brain cells and transferring information from one brain region to another. Boost Creativity – Sleep helps us build myelin. Myelin is the sheath-like material coating nerve fibres and is vital to the normal functioning of our nervous system. We need myelin sheaths to make connections and the more myelin, the faster the connections are. This is where creativity comes from. Often, creativity is about connecting one idea to another idea and that process is solidified during sleep when more myelin is produced. Improve Concentration – Scientists have found that lack of quality sleep increases hormone levels which leads to lower alertness, poor judgment, reaction time, problem solving, and concentration. It is more difficult to focus and pay attention, so you are more easily confused and distracted. This hugely affects your ability to perform tasks that require logical reasoning or complex thought. It can also worsen symptoms related to mental health disorders. 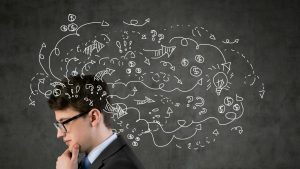 Unconscious Thinking – Here it is again! If you keep plugging away at a problem you can easily wind up with tunnel vision that keeps you from finding an appropriate solution. Sleep removes the blinders and helps “reset” your brain to look at things from a different perspective, which is also crucial to creativity. You may have experienced an “Ah ha!” moment in the middle of the night or a new idea popped into your head that you did not think of earlier. Good Mood – From both correlational and experimental evidence, if you are sleep deprived, the more irritable, angry and hostile you feel. Sleep loss is also associated with feeling more depressed.In addition, sleep deprivation is associated with greater emotional reactivity, making you likely to react negatively when something does not go your way. Sleep deprivation enhances negative mood due to increased amygdala activity (a brain structure integral to experiences of negative emotions such as fear, anger and rage), and a disconnect between the amygdale and the area of the brain that regulates its functions. This leads to an increase in negative mood, and a decrease in the ability to regulate that negativity. Possibly not someone that people may like to hang out with. Build Your Immune System – Sleeping less than seven hours a night results in having higher blood levels of inflammatory proteins than those who get more sleep. Inflammation is linked to heart disease, stroke, diabetes, arthritis, and premature ageing. With adequate amounts of sleep this inflammatory state supports the immune system by enhancing the body’s ability to form an immune response to these invaders. Healthy Weight – Sleep deprivation elevates cortisol levels and hugely slows down your metabolism. 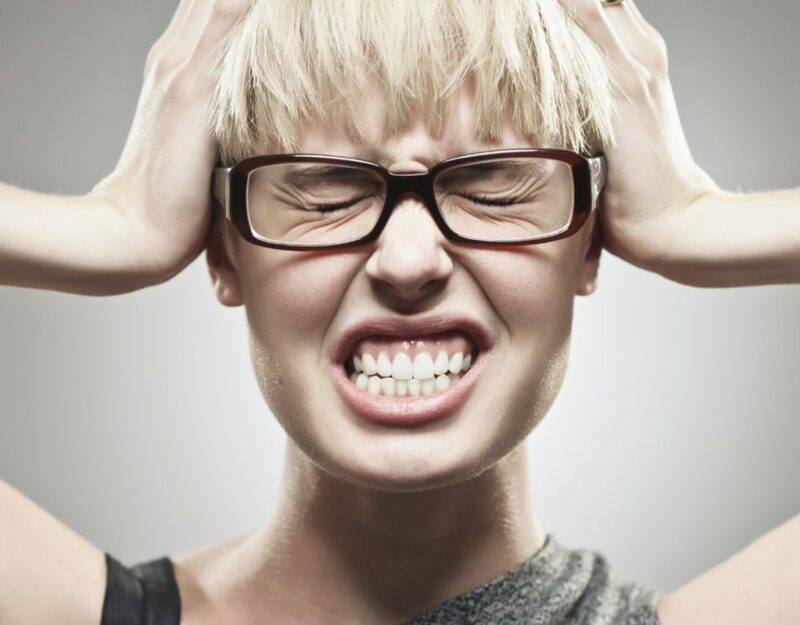 High cortisol levels affects your brain in a way that makes you want to eat more.It sparks a vicious cycle where you are left feeling tired, slowing your metabolism and playing tricks with your hormones. By sleeping less, you are programming your body to eat more, especially more junk and sugar-y food. The reason for those sugar cravings is due to the reduced availability of glucose reaching your brain. This can lead to obesity and diabetes. Energy Crisis & Fatigue – Lack of sleep is a major energy drain. When awake you are in a continuous catabolic state (breaking your body down). When asleep you are in an anabolic state (your body is being repaired and built up). If you do not adequately rest your body, your energy, performance and productivity crash. This can lead to an increase in errors at the workplace, poor performance, decreased productivity, accidents and injuries. 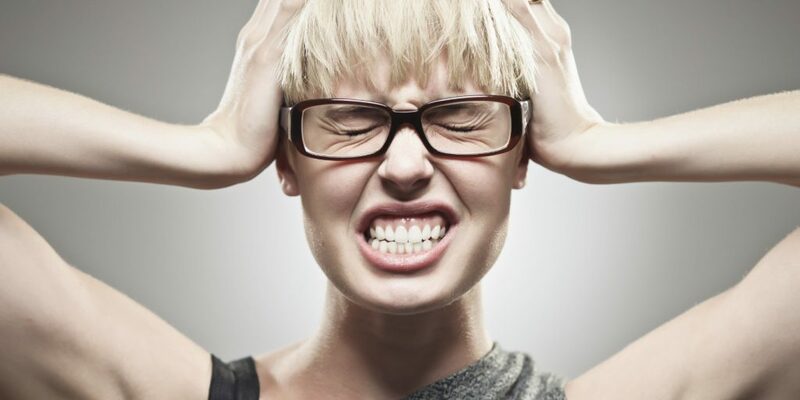 Stress Relief – Scientists are discovering that our bodies have a built-in way of dealing with stressful emotions and bad memories that is closely tied to sleeping. During sleep,levels of stress hormones decrease. Memories are being reactivated, put in perspective and connected and integrated, but in a state where stress neurochemicals are beneficially suppressed. Longevity – Regularly sleeping less than you should is associated with a shorter lifespan. Plenty of important healing processes occur while you sleep including organ, muscle and tissue repair, improved brain function, hormone balance, strengthening of the immune system, boosting metabolism, increased energy production, and so much more. Not fully allowing your body to complete its nightly duties is associated with your body’s health being at risk and may not fully recuperate. We can clearly see that sleep is a performance enhancer. When you allow time for adequate rest to recharge, repair and re-energise your body, not only does your whole body function better, so does your brain; enabling you to make better decisions, come up with creative ideas, have sharper and clearer memory, be nicer to people and look and feel like your best self. People continually acquiring new skills are likely to be happier, more invested, and smarter about their work. Neurologically, learning is inherently rewarding and one of the key components of employee engagement. In Dr Deming’s words “Joy in learning comes not so much from what is learned, but from learning.” Sleep deprivation impacts our focus and memory making it difficult to pick up information, acquire knowledge, and learn efficiently. Just like businesses seek to tick the “healthy” box and support people to exercise, they need to be mindful of people in regards to sleep. Organizations need to reassess late working hours, working on weekends, and constantly requiring people to be ‘switched on’. Health and recuperation are largely seen as private matters. They are not considered commercially relevant. But when people are forced to rest due to injury and illness, that becomes commercially relevant. Recovery is not negotiable. People can either have time to rest and rejuvenate now or given extended time to be sick and injured later. It seems like it is time to put health and wellbeing on the business agenda. Sleep deprivation is costing us both physically and mentally. The U.S. economy is suffering a huge impact, losing an estimated $411billion annually. The impact In the UK is $50 billion, in Germany the loss is$60 billion, and the greatest impact is suffered in Australia. It is draining the Australian economy of $36 billion a year. 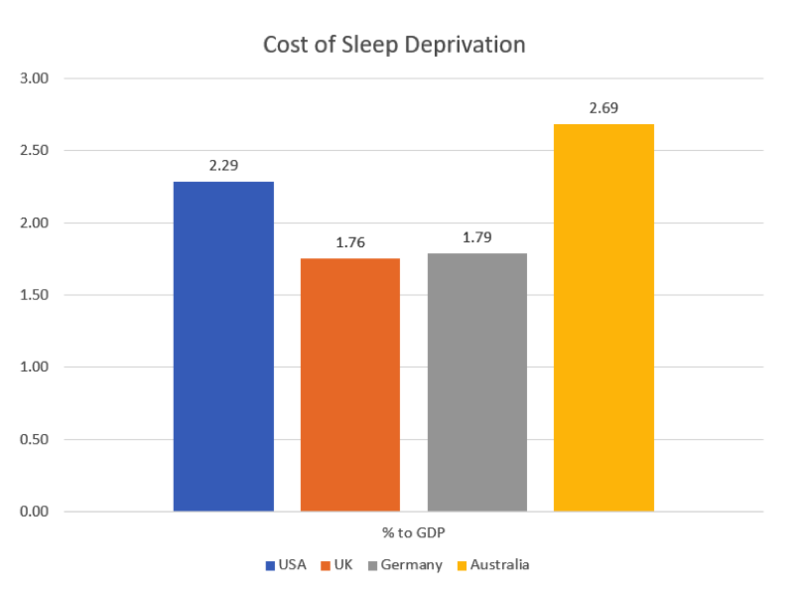 One in three Australians do not get adequate sleep contributing to a loss of productivity, medical conditions, road deaths and workplace accidents. It is your call, but it may be more beneficial for you to “sleep on it” rather than stay up late and work on it. Russell Ackoff, who was a top thought leader and systems thinker, sums up a system very effectively, “The system is never the sum of its parts, it is the product of their interactions.” With this in mind, giving importance and engaging in all four of the blogs in my [email protected] Series (Develop Emotional Coherence, Reasons to Exercise, and Nutrients Your Body Needs), and treating them as a system, will enhance and improve your performance. And improve your health and wellbeing for years to come.